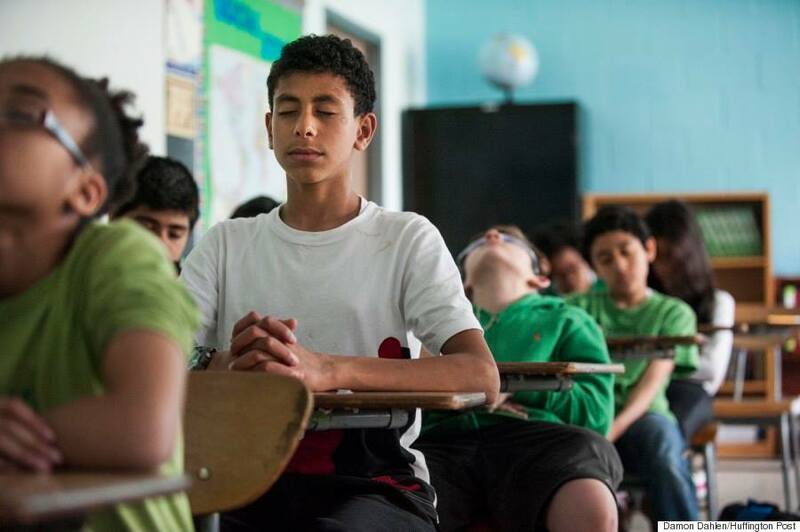 In today's article, I'd like to feature meditation applied to children. If you are familiar with meditation or have ever tried to meditate, you know that it does not take long for a mental chatter to get loud. And if you keep trying to get rid of these thoughts, they might become even louder. We are currently living in a constantly transforming reality where information flows really quickly. On a daily basis, both in visual and verbal form, we are bombarded by messages. For a mature psyche, it is possible to learn how to ignore aggressive informational attacks. The kid, whose perceptive mechanisms are still shaping, can adapt to this environment, but as a result of the process of this adaptation, he/she might develop a responsive mechanism that consists either in consuming all the information that is proposed by mass-media or in closing up. In both cases, the environment leaves children less space for interaction with each other, the world and finally but not less importantly, with themselves! Therefore, teaching meditation by infusing it into the school day as a matter, of course, may help kids to cope with their mental and emotional hurricanes. The research on meditation and the developing brain is just starting to take off. Here are some of the benefits that research tells us meditation and mindfulness can offer kids. Other studies are currently underway to continue exploring the connection of meditation and children capacity to focus. The temporoparietal junction that is responsible for perspective-taking, empathy, and compassion.